2004 One of a Kind, Custom Carolina, Juniper Construction, Built by James Gillikin Outer Banks N.C. Live well, Trim Tabs, Jack Plate,Pop-up console, New Cushons Fighting Lady Yellow, Carolina Flare, Tumblehome Hull, 60 Yamaha Four Stroke, Like new, Trailer Like new, new tires, Truly a Modern Classic. 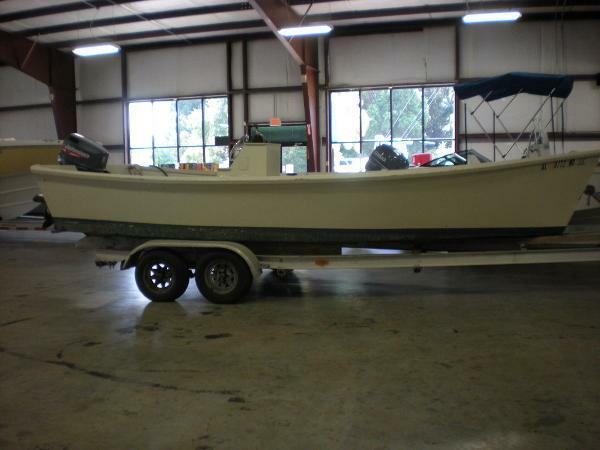 2011 Bosarge Skiff Nice custom Bosarge Skiff , box fishing, net fishing, or just a plain old good fun fishing boat. 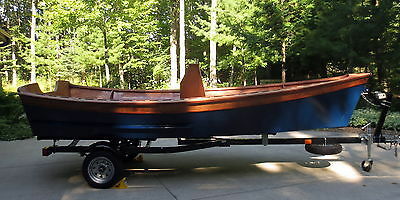 This is a local built lower Alabama boat. 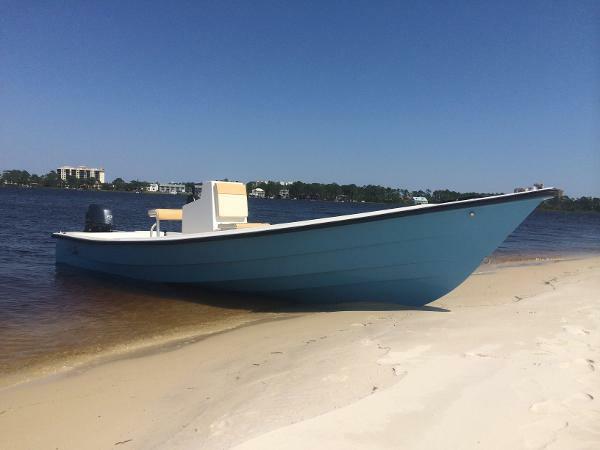 The owner says motor has less than 25 hrs does show some barnacle's from being left in water, on motor exhaust housing and bracket nothing that can't be removed.Nice custom Bosarge Skiff , box fishing, net fishing, or just a plain old good fun fishing boat. This is a local built lower Alabama boat.The owner says motor has less than 25 hrs does show some barnacle's from being left in water, on motor exhaust housing and bracket nothing that can't be removed. 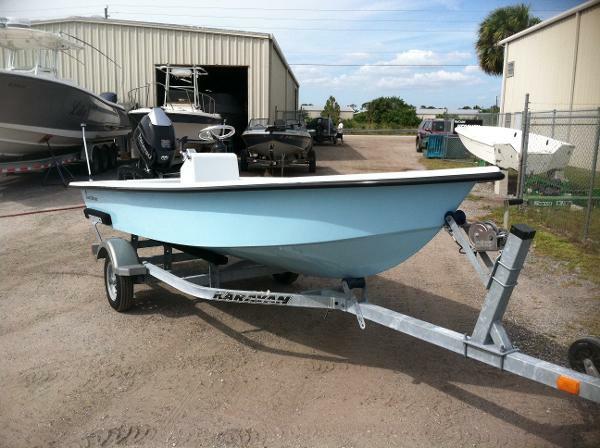 Other than that looks new and clean under cowl.Will make someone a great knock around boat shrimper,box fishing , hunting rig.Perfect running 90 Johnson, Bimini Top, Looks new under cowl, The owner says has around 25 hours on it.nice aluminium trailer MAKE AN OFFER NEEDS TO GO. 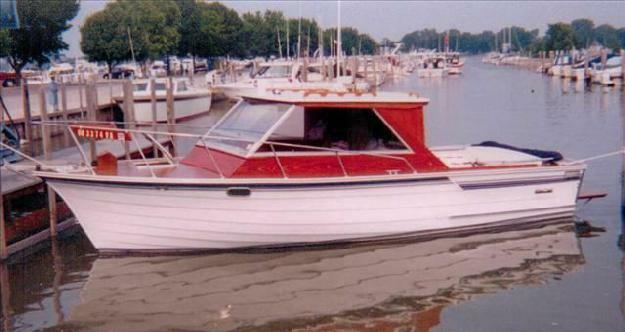 Call Boat Owner Peter 845-279-6297 914-536-0150. 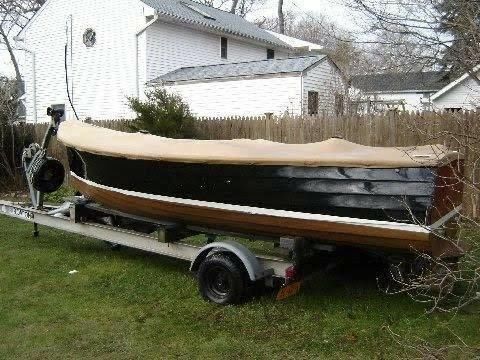 Custom built plywood 16'flat bottom skiff.Hull complete, console started, needs completion and rigging.Great looking work boat. 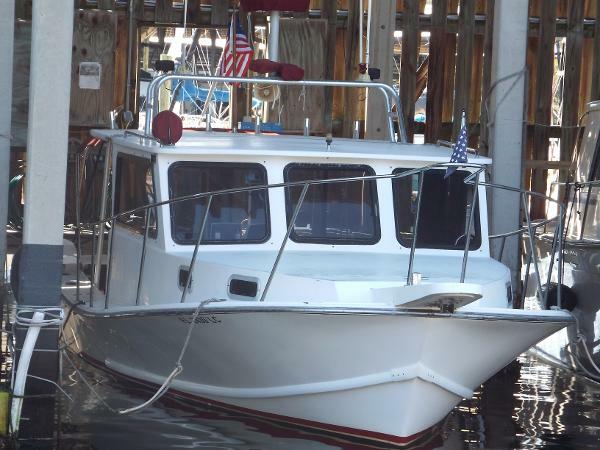 Includes 40 HP motor, has been fully serviced and runs well. motor needs paint on lower unit. Good galvanized trailer included, needs to be fitted to boat. 2013 Westport CC custom skiff, Yamaha 90 four-stroke Custom built Westport Skiff. Constructed to yacht standards, made of composite materials. Attractive mahogany brightwork trim. 2013 Yamaha 90 HP 4- stroke outboard with less than 100 hours . Furuno GPS plotter-sounder. Spacious foredeck area. Edson wheel, SeaStar hydraulic steering. Pop-up stainless cleats. Smith rod holders. Distinctive center console styling, in the tradition of downeast skiffs. 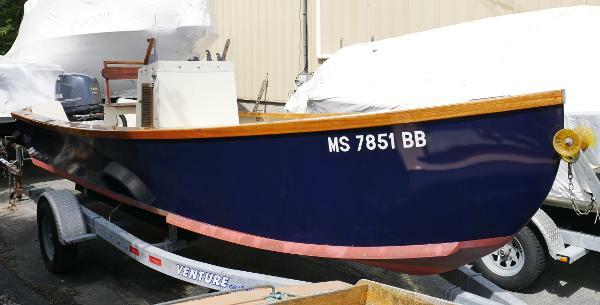 Dark blue hull, cream colored interior. Nicely kept boat in nearly new condition. Exceptional value. 2013 Venture trailer. New listing- please call for further details. 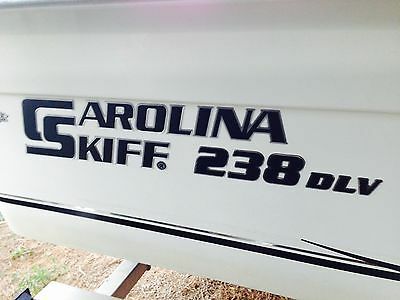 2012 238 DLV Carolina Skiff with 150 HP Suzuki 4 stroke with Warranty until 2018, Jack plate, Riptide 24v trolling motor with drive fob and position control. 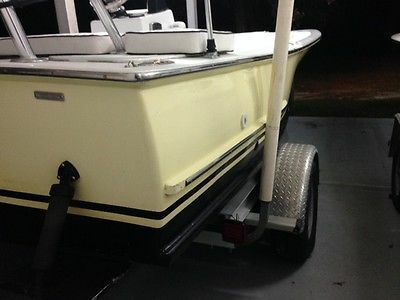 Hydraulic steering, Bimini, ski/tube tow rig, custom built seat with rod holders, additional cannon rod holders, kept in barn, hummingbird GPS and fish finder, etc. 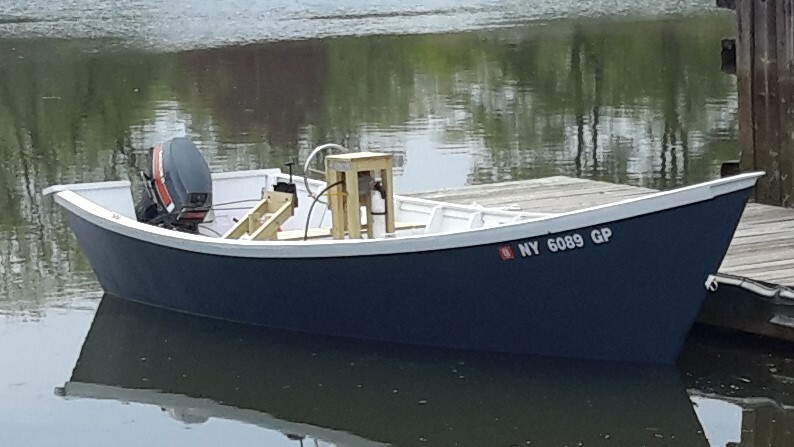 boat is in great condition and ready to fish. No ethanol fuel is all that has ever been run in this boat. Motor is quiet. Radio and speakers, MP3 compatible, all fluids changed each year. Anchors, bumpers, life vest, vhf, chart card for gps, deep charge deep cycle marine batteries x 3. Used very little. This is a nice boat! Family fun at the lake or beach and a fishing machine.